Azure Machine Learning is a cloud-based predictive analytics service that makes it possible to quickly create and deploy predictive models as analytics solutions. Azure Machine Learning Studio is a GUI-based integrated development environment for constructing and operationalizing Machine Learning workflow on Azure. Azure Batch AI is a managed service that enables data scientists and AI researchers to train AI and other machine learning models on clusters of Azure virtual machines, including VMs with GPU support. Azure Batch AI helps you experiment with your AI models using any framework and then train them at scale across GPU and CPU clusters. Azure Bot Service enables developers to create conversational interfaces on multiple channels while Language Understanding (LUIS) helps developers create customized natural interactions on any platform for any type of application, including bots. Azure Search is a component of the Microsoft Azure Cloud Platform providing indexing and querying capabilities for data uploaded to Microsoft servers. Azure Bing Entity Search API identifies relevant entity based on your searched term, spanning multiple entity types such as famous people, places, movies, TV shows, video games, books, and even local businesses near you. Microsoft Bing Image Search API is a service that provides a similar (but not exact) experience to Bing.com/Images (overview on MSDN), it allow partners send a search query to Bing and get back a list of relevant images. Microsoft Bing News Search API is a tool that search the web for news articles including details like authoritative image of the news article, related news and categories, provider info, article URL, and date added. Microsoft Bing Speech API is a cloud-based API that provides advanced algorithms to process spoken language, it allow developers add speech driven actions to their applications including real-time interaction with the user. Microsoft Bing Video Search API is an API tool that find videos across the web and provide useful metadata including creator, encoding format, video length, view count, and more. Microsoft Bing Web Search API is a service that retrieve web documents indexed by Bing and narrow down the results by result type, freshness and more, it bring intelligent search to apps and harness the ability to comb billions of webpages, images, videos, and news with a single API call. Microsoft Computer Vision API is a cloud-based API tool that provides developers with access to advanced algorithms for processing images and returning informatio, by uploading an image or specifying an image URL, it analyze visual content in different ways based on inputs and user choices. Microsoft Bing Autosuggest API is a tool that help users complete queries faster by adding intelligent type-ahead capabilities to an app or website. Azure Custom Speech Service helps you to overcome speech recognition barriers such as speaking style, vocabulary and background noise. Azure Custom Vision Service is a tool for building custom image classifiers, and for making them better over time. This service enables you to identify your own objects and things in images. Microsoft Emotion API is a tool that analyze faces to detect a range of feelings and personalize your app's responses. Azure Face API uses state-of-the-art cloud-based face algorithms to detect and recognize human faces in images.Its capabilities include features like face detection, face verification, and face grouping to organize faces into groups based on their visual similarity. Microsoft Linguistic Analysis APIs is a tool that provide access to natural language processing (NLP) that identify the structure of text and it provides three types of analysis:Sentence separation and tokenization, Part-of-speech tagging and Constituency parsing. Azure QnA Maker API is a free, easy-to-use, REST API and web-based service that trains AI to respond to user's questions in a more natural, conversational way. Microsoft Speaker Recognition API is a cloud-based APIs that provide the most advanced algorithms for speaker verification and speaker identification that can be divided into two categories: speaker verification and speaker identification. 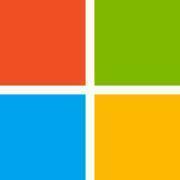 Microsoft Text Analytics API is a suite of text analytics services that offer APIs for sentiment analysis, key phrase extraction and topic detection for English text, as well as language detection for 120 languages. Azure Translator Text API is a cloud-based machine translation service supporting multiple languages.Translator is used to build applications, websites, tools, or any solution requiring multilanguage support. Azure Video Indexer enables customers with digital video and audio content to automatically extract metadata and use it to build intelligent innovative applications. Azure Stream Analytics is a managed event-processing engine set up real-time analytic computations on streaming data. Azure SQL Data Warehouse is a cloud-based Enterprise Data Warehouse (EDW) that leverages Massively Parallel Processing (MPP) to quickly run complex queries across petabytes of data. HDInsight is a fully-managed cloud Hadoop offering that provides optimized open source analytic clusters for Spark, Hive, MapReduce, HBase, Storm, Kafka, and R Server backed by a 99.9% SLA. Azure Data Factory (ADF) is a service designed to allow developers to integrate disparate data sources. It provides access to on-premises data in SQL Server and cloud data in Azure Storage (Blob and Tables) and Azure SQL Database. Azure Data Lake Analytics is a distributed, cloud-based data processing architecture offered by Microsoft in the Azure cloud. It is based on YARN, the same as the open-source Hadoop platform. Azure Event Hubs is a scalable data streaming platform and event ingestion service, capable of receiving and processing millions of events per second. Event Hubs processes and stores events, data, or telemetry produced by distributed software and devices. Power BI Embedded lets you create data visualizations against your application data in Power BI Desktop—without writing any code. Easily explore your application data through a freeform, drag-and-drop canvas and produce rich data models using formulas and relationships. Azure Analysis Services integrates with many Azure services enabling you to build sophisticated analytics solutions.Its integration with Azure Active Directory provides secure, role-based access to your critical data. Apache Spark for Azure HDInsight is an open source processing framework that runs large-scale data analytics applications. Apache Storm is a distributed, fault-tolerant, open-source, real-time event processing solution for large, fast streams of data. By combining enterprise-scale R analytics software with the power of Apache Hadoop and Apache Spark, Microsoft R Server for HDInsight gives you the scale and performance you need. Multi-threaded math libraries and transparent parallelization in R Server handle up to 1000x more data and up to 50x faster speeds than open-source R, which helps you to train more accurate models for better predictions. R Server works with the open-source R language, so all of your R scripts run without changes. Azure Log Analytics is a visual and analytic tool for IT administrators to help them easily manage datacenter environments. Azure Data Catalog is an enterprise-wide metadata catalog enabling self-service data asset discovery. The Data Catalog stores, describes, indexes and provides information on how to access any registered data asset and makes data source discovery trivial. Azure Data Lake Store is secured, massively scalable, and built to the open HDFS standard, allowing you to run massively-parallel analytics. Azure Virtual Machines gives you the flexibility of virtualization for a wide range of computing solutions: development and testing, running applications, and extending your datacenter with support for Linux, Windows Server, SQL Server, Oracle, IBM, and SAP. Azure virtual machine scale set automatically increases or decreases the number of VM instances that run your application. This automated and elastic behavior reduces the management overhead to monitor and optimize the performance of your application. Develop, package, and deploy powerful applications and services to the cloud with Azure Cloud Services, and the click of a button. Scale from 1 to 1000 in minutes. Reliably run and deploy popular SAP products and solutions within minutes, on a secure, scalable, and enterprise-proven cloud platform. Azure Batch is a platform service for running large-scale parallel and high-performance computing (HPC) applications efficiently in the cloud. Azure Batch schedules compute-intensive work to run on a managed collection of virtual machines, and can automatically scale compute resources to meet the needs of your jobs. Azure Web App for Containers deploys the containerized app with your preferred dependencies to production in seconds. The platform automatically takes care of OS patching, capacity provisioning, and load balancing. Azure SQL Database is a relational database-as-a service using the Microsoft SQL Server Engine. SQL Database is a high-performance, reliable, and secure database you can use to build data-driven applications and websites in the programming language of your choice, without needing to manage infrastructure. Azure Cosmos DB provides native support for NoSQL choices, offers multiple well-defined consistency models, guarantees single-digit-millisecond latencies at the 99th percentile, and guarantees high availability with multi-homing capabilities and low latencies anywhere in the world. Azure Redis Cache is a secure data cache and messaging broker that provides high throughput and low-latency access to data for applications. Azure Table storage stores large amounts of structured data. The service is a NoSQL datastore which accepts authenticated calls from inside and outside the Azure cloud. Azure Database Migration Service is designed as a seamless, end-to-end solution for moving on-premises SQL Server databases to the cloud. Microsoft Visual Studio is an integrated development environment (IDE) for developing console and graphical user interface applications along with Windows Forms or WPF applications, web sites, web applications, and web services. Services for teams to share code, track work, and ship software – for any language, all in a single package. It’s the perfect complement to your IDE. Azure DevTest Labs helps developers and testers to quickly create environments in Azure to deploy and test their applications. Build and debug modern web and cloud applications. Code is free and available on your favorite platform - Linux, Mac OSX, and Windows. Azure SDK helps you to access even more cloud resources and services to improve your Azure development experience directly from Visual Studio. Azure Command-Line Interface (CLI) is a lightweight cross-platform command-line tool to manage services and accomplish common tasks. Compile relevant lab resources for your classroom, research project, development and testing, or other scenario using custom templates. And support your demand with built-in scaling and resiliency. Azure provides a rapid, low-cost, low-risk, and fail-fast platform for organizations to collaborate on by experimenting with new business processes and it's all backed by a cloud platform with the largest compliance portfolio in the industry. Visual Studio App Center ships iOS, Android, Windows, and macOS apps faster and with greater confidence by automating their lifecycles. It also connects your repository and, within minutes, builds in the cloud, tests on thousands of real devices, distributes to beta testers and app stores, and monitors real-world usage with crash and analytics data. Azure Multi-Factor Authentication reduces organizational risk and helps enable regulatory compliance by providing an extra level of authentication, in addition to a user’s account credentials, to secure employee, customer, and partner access. Control and help secure email, documents, and sensitive data that you share outside your company. From easy classification to embedded labels and permissions, enhance data protection at all times with Azure Information Protection—no matter where it’s stored or who it's shared with. Azure Active Directory B2C offers consumer identity and access management in the cloud, improves consumer connections, protects their identities, and more. Azure Service Bus is a cloud messaging system for connecting apps and devices across public and private clouds. Azure Service Bus supports a set of cloud-based, message-oriented middleware technologies including reliable message queuing and durable publish/subscribe messaging. Azure IoT Hub is a scalable, multi-tenant cloud platform (IoT PaaS) that includes an IoT device registry, data storage, and security. It also provides a service interface to support IoT application development. Azure IoT Central brings the Internet of your things to life by connecting your devices, analyzing previously- untapped data, and integrate business systems and transforming your company when you uncover new business models and revenue streams. Use templates to create fully customizable solutions for common Internet of Things (IoT) scenarios—Bring your business together in insightful new ways from increasing process efficiencies to delivering better customer experiences and generating new revenue streams. Azure Sphere is a new solution for creating highly-secured, Internet-connected microcontroller (MCU) devices. It provides a foundation of security and connectivity that allows you to create the intelligent products and experiences that customers love—and get them to market quickly—at a price point that enables the Internet of Things (IoT) at scale. Azure Time Series Insights is a fully managed analytics, storage, and visualization service for managing IoT-scale time-series data in the cloud. It provides massively scalable time-series data storage and enables you to explore and analyze billions of events streaming in from all over the world in seconds. Azure Maps provides developers from all industries, powerful geospatial capabilities, packed with fresh mapping data necessary to provide geographic context to web and mobile applications. Azure Event Grid is a routing service that works with Azure Logic Apps and Azure Functions. It's one more solution that enables developers to focus on business value, not on infrastructure. Azure Notification Hubs is a massively scalable mobile push notification engine for quickly sending millions of notifications to iOS, Android, Windows, or Kindle devices, working with APNs (Apple Push Notification service), GCM (Google Cloud Messaging), WNS (Windows Push Notification Service), MPNS (Microsoft Push Notification Service), and more. Azure Backup is the Azure-based service you can use to back up (or protect) and restore your data in the Microsoft cloud. Azure Backup allows you to back up the data for on-premises servers, virtual machines, virtualized workloads, SQL server, SharePoint server, and more. Recovery plans are simple to create through the Azure management portal, where they are stored. The plans can be as simple or as advanced as your business requirements demand, including the execution of custom Windows PowerShell scripts and pauses for manual interventions. Azure Advisor is a personalized cloud consultant that helps you follow practices to optimize your Azure deployments. It analyzes your resource configuration and usage telemetry. Azure Scheduler allows you to declaratively describe actions to run in the cloud. It then schedules and runs those actions automatically. Azure Scheduler lets you create jobs in the cloud that invoke services inside and outside of Azure such as calling HTTP/S endpoints or posting messages to Azure Storage queues, or Azure Service Bus queues or topics. Azure Automation delivers a cloud-based automation and configuration service that provides consistent management across your Azure and non-Azure environments. It consists of process automation, update management, and configuration features. Azure Traffic Manager is a cloud-based load balancing service that allows you to control the distribution of user traffic for service endpoints in different datacenters. Azure Monitor is a platform capability for monitoring your Azure resources. Azure Monitor allows you to collect granular performance and utilization data, activity and diagnostics logs, and notifications from your Azure resources in a consistent manner. Brings all of your information together in a single view for actionable insight. Collect, store, and analyze log data from virtually any Windows Server and Linux source. Azure Network Watcher is a regional service that enables you to monitor and diagnose conditions at a network scenario level in, to, and from Azure. Network diagnostic and visualization tools available with Network Watcher help you understand, diagnose, and gain insights to your network in Azure. Azure Service Health notifies you and your teams when issues in Azure services affect your business-critical resources,, helps you understand the impacts of the issue, and keeps you updated as the issue is resolved. Azure Portal builds, manages, and monitors everything from simple web apps to complex cloud applications in a single console. Azure Resource Manager enables you to work with the resources in your solution as a group and allows you to deploy, update, or delete all the resources for your solution in a single, coordinated operation. Azure Cloud Shell is an interactive, browser-accessible shell for managing Azure resources. It gives you the flexibility of choosing the shell experience that suits the way you work. Azure Mobile Apps is a technology that allows you to connect your mobile app to resources that are important in cloud connected mobile applications such as table data, authentication, and push notifications. Azure Policy is a service in Azure, that you use to create, assign and, manage policy definitions in your Azure environment. Azure Migrate helps you to discover and assess the suitability of on-premises machines for migration to Azure, and provides sizing and cost estimates for running Azure VMs. Azure Media Services is an extensible cloud-based platform that enables developers to build scalable media management and delivery applications. Live encoding expands on the industry-proven live cloud platform, and can be combined with dynamic packaging, dynamic encryption, sub-clipping, dynamic manifest manipulation, ad marker insertion, and seamless live-to-on-demand capabilities, to build comprehensive live and cloud DVR workflows. Azure Media Services supports on-demand and live streaming, as well as dynamic packaging, which is the real-time transmuxing to and from HLS and Smooth Streaming formats, with DASH on the way . Azure Media Player is a web video player built to playback media content from Microsoft Azure Media Services on a wide variety of browsers and devices. Azure Media Player utilizes industry standards, such as HTML5, Media Source Extensions (MSE) and Encrypted Media Extensions (EME) to provide an enriched adaptive streaming experience. Azure Media Services enables you to secure your media from the time it leaves your computer through storage, processing, and delivery. Media Services allows you to deliver your content encrypted dynamically with Advanced Encryption Standard (AES) (using 128-bit encryption keys) and PlayReady DRM. Azure Media Analytics is a collection of speech and vision components that organizations and enterprises use to get actionable insights from their video files through machine learning technology. Azure Data Box provides a secure, tamper-resistant method for quick and simple transfer of your data to Azure, offering 100TB capacity. Azure API app is a platform as a Service solution under the umbrella of Web Apps. It gives you the inbuilt features to work with APIs seamlessly like inbuilt support for the metadata using swagger, along with the API definition support on the portal. Azure ExpressRoute lets you extend your on-premises networks into the Microsoft cloud over a private connection facilitated by a connectivity provider. ExpressRoute allows you to establish connections to Microsoft cloud services, such as Microsoft Azure, Office 365, and Dynamics 365.1. Azure DNS allows you to host your DNS domain in Azure, so you can manage your DNS records using the same credentials, billing, and support contract as your other Azure services. Azure Load Balancer is a built-in load balancing for cloud services and virtual machines, you can create highly-available and scalable applications in minutes. Azure Load Balancer supports TCP/UDP-based protocols such as HTTP, HTTPS, and SMTP, and protocols used for real-time voice and video messaging applications. Azure VPN Gateway connects your on-premises networks to Azure through Site-to-Site VPNs in a similar way that you set up and connect to a remote branch office. The connectivity is secure and uses the industry-standard protocols Internet Protocol Security (IPsec) and Internet Key Exchange (IKE). Azure Application Gateway gives you application-level routing and load balancing services that let you build a scalable and highly-available web front end in Azure. Azure DDoS Protection service is integrated with Virtual Networks and provides protection for Azure applications from the impacts of DDoS attacks. It enables additional application specific tuning, alerting and telemetry features beyond the basic DDoS Protection which is included automatically in the Azure platform. Azure Firewall automatically scales with your usage during peak load or as your business grows, eliminating the need to predict and reserve capacity for peak usage. Connect your global branch offices, point-of-sale locations, and sites using Azure and the Microsoft global network. Plan, configure, and seamlessly deploy new connections, tuned for a growing ecosystem of market-leading partners. Azure Key Vault enables users to store and use cryptographic keys within the Microsoft Azure environment. Azure Key Vault supports multiple key types and algorithms and enables the use of Hardware Security Modules (HSM) for high value customer keys. Azure Security Center provides security management and threat protection across your hybrid cloud workloads. It allows you to prevent, detect, and respond to security threats with increased visibility. With Azure Advanced Threat Protection, the power and scale of the cloud help you safeguard against threats that are increasing in frequency, severity, and sophistication. Azure Blob storage is a service for storing large amounts of unstructured object data, such as text or binary data, that can be accessed from anywhere in the world via HTTP or HTTPS. Azure Disk storage gives you the durability, availability, and security you need for your virtual machines whether you need the highest availability for mission-critical workloads, or cost-effective options for test scenarios. Azure Queue storage provides cloud messaging between application components. Queue storage gives you asynchronous message queueing for communication between application components, whether they are running in the cloud, on the desktop, on-premises, or on mobile devices. Azure File offers fully managed file shares in the cloud, accessible via the industry standard Server Message Block (SMB) protocol. Azure File shares is mounted concurrently by cloud or on-premises deployments of Windows, macOS, and Linux. Azure Storage Explorer Preview is a standalone app that allows you to easily work with Azure Storage data - from any platform, anywhere. It creates and manages blobs, tables, queues, generate SAS keys, and more. Azure Archive Storage offers low-cost, durable, and highly available secure cloud storage for rarely accessed data with flexible latency requirements. Archive Storage provides secure data transfer to the cloud using HTTPS, and automatically secures that data at rest using 256-bit AES keys. Azure Web Apps is a service for hosting web applications, REST APIs, and mobile back ends.